Well, things do move on. I posted a lot more at the blog, and given that initial post, found myself back in contact with Joe, so he visits the blog to read a thing or two sometimes, and then a bit later, we found we’d both moved to Europe, so it seems a high school acquaintance has turned into a really great friendship. And who should be so pleased as myself to see that his history with the film, and the film’s relationship to comics-company history as well as to the source material, is now seeing a revival and appreciation. 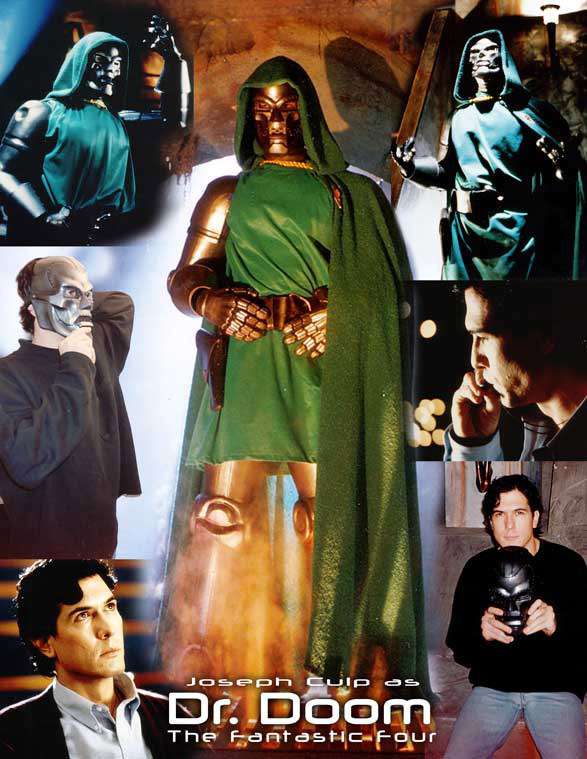 Posted on September 15, 2018, in Filmtalk, The great ultravillains and tagged Fantastic Four 1994 film, Joseph Culp. Bookmark the permalink. Leave a comment.